I think this turned out pretty festive. I used a pencil to outline the names on the eggs and then a fine black Sharpie. I had tried a gold marker but it didn’t really show up. 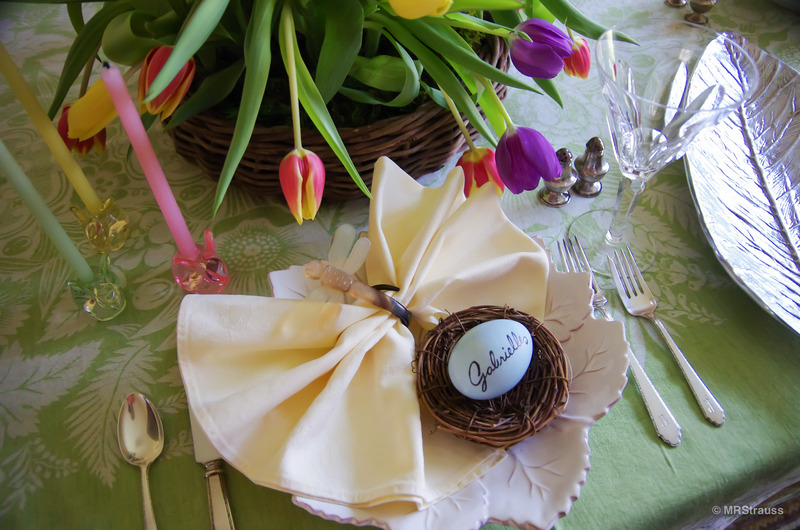 This entry was posted in Inspired and tagged Easter, Easter Table Setting, Table Setting on March 26, 2016 by mrstrauss.